Uptown Update: Save The Date For Third "Courtenay-Fest"
Save The Date For Third "Courtenay-Fest"
Celebrate the end of another successful school year with COURTENAY FEST! 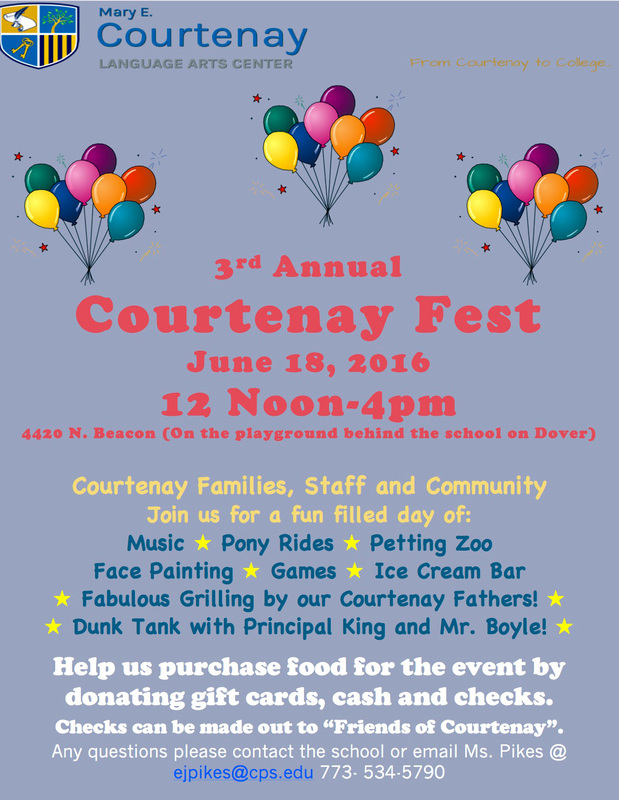 "Our school is hosting our third annual Courtenay Fest on Saturday June 18, from 12-4. We would love to have more community members and families join us this year." Pony rides, dunk tank, petting zoo... sounds like a good time. Last year everyone had a great time, this year should be even better.